Please note that the old Hexagonal iCLASS key has been discontinued and replaced by the more rounded iCLASS Key II! 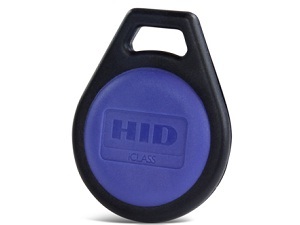 HID's iCLASS Key Tag provides iCLASS smart-card technology in a moulded plastic key fob. This credential can be placed on a key ring or lanyard for access control applications that do not require a Photo ID.